If you're looking to gander at some beautiful Christmas lights and decorations this holiday season, look no further than Walt Disney World's hotels and resorts in Orlando. 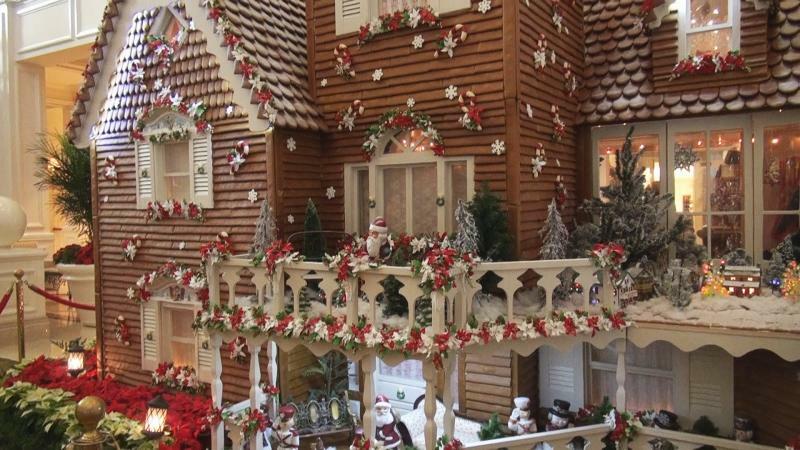 Spend a day touring the resorts, taking in the towering Christmas trees, the gingerbread decor and twinkling lights. Here are some of the decorations, you'll see when you experience the wonder of Christmas lights in Orlando at Walt Disney World Resorts. Looking for a more rustic take on the holidays? 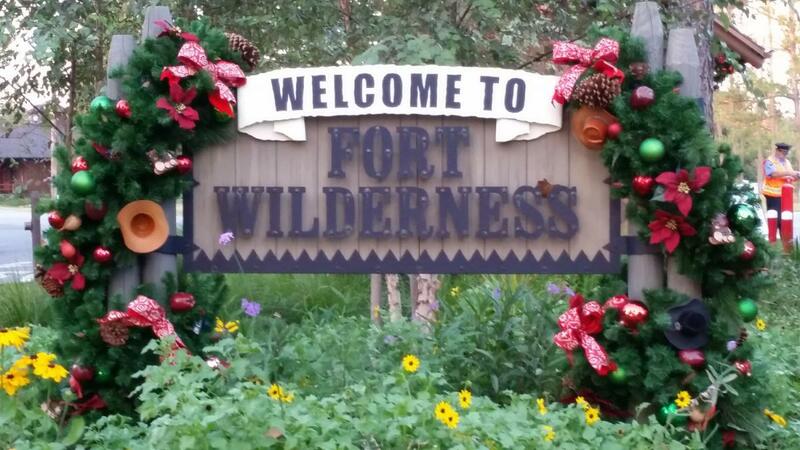 Fort Wilderness will have you feeling cozy, like you're spending Christmas in the country up-north, even though you're just steps from Walt Disney World. Disney decorates this resort from head to toe, and even the guests take part in the fun by decorating their RVs and campsites. Families can also enjoy horse-drawn sleigh rides. 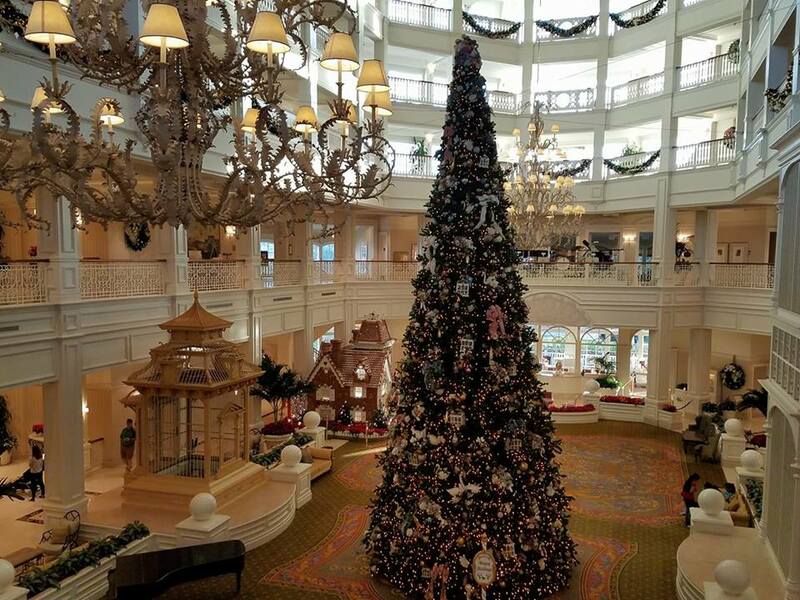 Grand Floridian - Located in the lobby of this resort, you'll see the second largest of the nine grand Christmas trees on display at Disney. Perhaps the coolest part of the holiday display though is the life-sized gingerbread house. The gingerbread house is made of real ingredients and doubles as a refreshment stand. 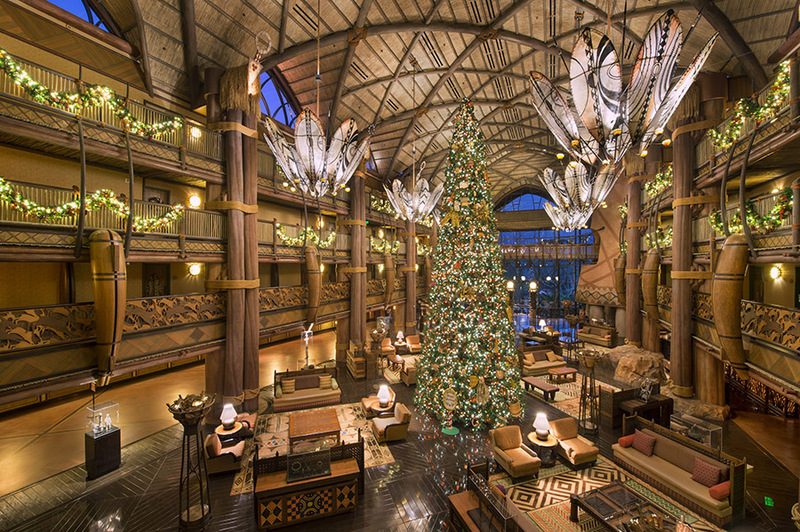 It's easy to pretend you're taking a Christmas safari at Disney's Animal Kingdom Lodge. This resort also features a huge Christmas tree in the lobby, adorned with African inspired ornaments. Garland and lights also sprinkle throughout the lobby. Disney's Beach and Yacht Club Resorts take on a breezy, beachy feel during the holidays. 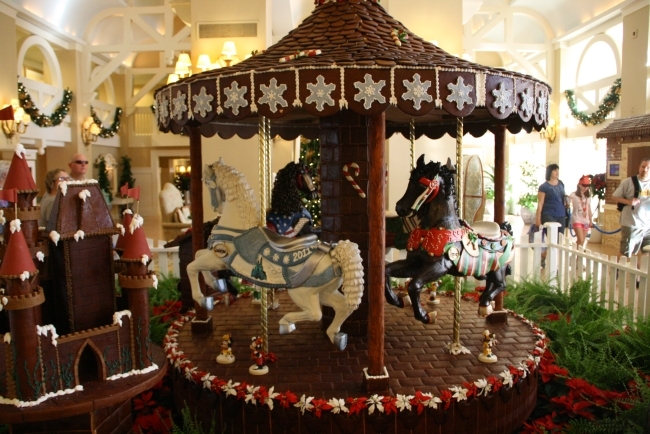 Inside the lobby of Disney's Beach Club Resort is a life-size, edible carousel. The Lilo and Stitch-themed carousel features horses with hand-painted characters. See if you can spot the 18 hidden Mickey Mouses. Next door at Disney's Yacht Club Resort, you'll find a miniature holiday train. Contemporary Resort - Here, you'll find the gingerbread version of the Cinderella Castle. 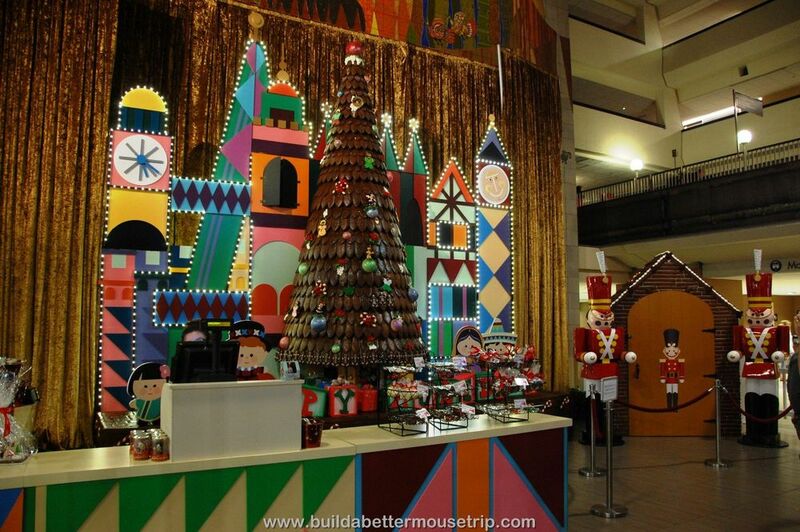 The 18-foot display is made from thousands of gingerbread blocks, fondant and modeling chocolate. The design is based on the art of Mary Blair, a prominent cartoonist for Disney who was responsible for character drawing in Cinderella, Peter Pan and Alice in Wonderland. But perhaps the most famous decoration at this resort is the massive Mickey Mouse wreath which can be seen glowing with lights at night from Magic Kingdom. In true Disney fashion, Walt Disney World resorts go above and beyond with Christmas lights in Orlando and decor for the holiday season, paying attention to every detail. If you're looking for other holiday events in O-town, check out our full guide to Christmas in Orlando.